Reginald D. Hunter, Cardinal Burns and Jenny Eclair are among comedians who will travel from London to Edinburgh by canal – performing gigs along the way.The boat sets off from London today and will make stop-offs in Cookham, Henley-on-Thames, Oxford, Stone, Manchester, Glasgow and Falkirk before arriving in Edinburgh for the Fringe. Also taking part are Sam Simmons, Jarred Christmas, Idiots of Ants, Andre Vincent, Tim FitzHigham and Justin Moorhouse. Details of gigs will be announced online, and progress will be tracked via videos, podcasts and blogs. Funny’s Funny, an organisation run by comedians to support fair treatment within the comedy industry announces its second Female Comedian of the Year competition, which opens for entries on April 23rd. Plans for 2012 include a full run of Funny’s Funny shows at the Edinburgh Fringe, workshops for participants to develop their skills, and competition showcases across the UK and in Ireland. The grand final will be held in July in London. Last year’s Female Comedian of the Year competition had 250 entrants and ran 21 showcases nationwide, with the involvement of several independent promoters and comedy clubs. The grand final crowned Harriet Kemsley as its winner. This year’s event is expected to be bigger. All female comedians, regardless of experience, can enter the competition via www.funnysfunny.org.uk. 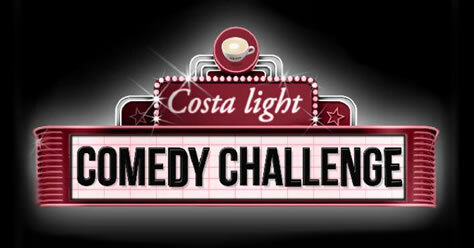 Costa is calling on up and coming comedians to encourage us all to see the lighter side of life with the Costa Light Comedy Challenge. Launched by stand up star Paul Tonkinson on September 21st, budding stand up comics are invited to submit a one-minute film of their act to www.costalightcomedy.co.uk which will be voted on by members of the public. The closing date for entries is October 24th 2011. The top ten acts in each UK region go head to head in live regional finals which will be compered and judged by Paul Tonkinson. The ten funniest acts around the UK will then compete at London’s Comedy Store in the final at the end of November to win the chance to kick start their career with a ten minute slot on a Friday night at The Comedy Store in both London and Manchester. Having cut his comedic teeth on the radio with the likes of Russell Howard, Jon Richardson and Richard Bacon, as well as having his own late night slot on talkSPORT, Matt Forde has returned to the Edinburgh Fringe Festival to serve a slice of his own mix of stand-up comedy, football and politics. These are his self-assigned areas of expertise and as the show plays its course, it becomes apparent that not only does he know what he’s talking about, but his passion for these occasionally juxtaposing interests is a pleasure to observe. Matt Forde’s humour is eloquent but unassuming as he delves into his own personal experience and beliefs with anecdotal wit. He describes his life growing up in Nottingham and his lifelong allegiance to Nottingham Forest and waxes lyrical about his role as a supporter with such enthusiasm that it is hard not to see on stage before the audience the eleven year old mascot walking onto the pitch at City Ground. He beams his way through his tale of Brian Clough, arguably the club’s most prolific and successful manager, as he described Matt Forde as he was gearing up to hit puberty headlong, looking as if he spent his time ‘headbutting a pizza.’ Whether or not characters such as Brian Clough are familiar to anyone other than Matt Forde, even if they spark a vague memory somewhere in the mind, it seems irrelevant; to hear him tell the story and experience what he experienced through his articulate, brave descriptions is where his performances entertainment value lies. He wades through his past as a member and associate of the Labour Party, joining when he was fifteen; he paints the image of his fourteen year old self sending off his application four weeks early so he might wake up on his fifteenth birthday a fully fledged member of the party he had idolised since the age of seven. He admits his political ideology wouldn’t reach much further at that young age than hoping Tony Blair might ensure Nottingham Forest win the FA Cup, but soon his audience is coaxed into his experiences working alongside some of Labour’s most recognised politicians. He was there the day Tony Blair resigned. 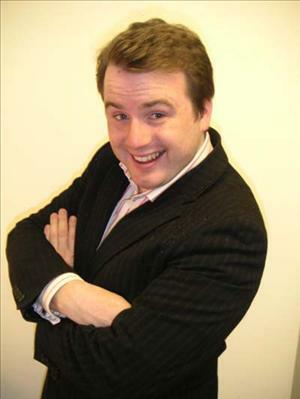 This is useful ammo for any stand-up, and Matt Forde rambles through his experiences of the day, re-renacting Tony Blair’s wry observations and quick-witted responses to audience questions. This isn’t just solid material for a stand-up performance it is also a snippet of our own recent history that we rarely get to hear about candidly from someone who was actually there. It is hard to not be reeled into this narrative, as Matt Forde candidly flicks a beckoning finger into the inner workings of Westminster during his time there. His audience join him for a drink where Michael Portillo seems a little too impressed by Matt’s Tony Blair impression. Matt Forde pulls the nuances of a spectator sport as he describes Blair’s final hours. Indeed, by his own admission he is probably the only person in the world that watches Prime Minister’s Question Time with a pack of lager. This is where the crux of his stand-up emerges, as he blends the avid and earnest advertising techniques of Sky Sports with the political tussles of the early noughties. He ends in a climactic cacophony of clichéd football noises and the Rocky Theme tune blasting out of the speakers. His hour is up in what seems like minutes, a performer with enough political knowledge and anecdotal to flair to hold his audience in amused rapture. Peter Buckley Hill comperes this evening of comedy on the free fringe. Upon taking to the stage he cuts out the introduction track before it has finished and the audience are fully seated. Thankfully he acknowledges the mistake calling it ‘the first act of consummate unprofessionalism tonight’. At first it is unclear whether acknowledging mistakes is a good idea in front of the rowdy predominately Scottish crowd at The Cannon’s Gait. However, it quickly becomes clear that the majority of the room are already (as he puts Peter Buckley Hill puts it) ‘part of the freemasonry of the the show’. Peter Buckley Hill is as accomplished as one could expect from a compere. He is an entirely shambolic performer but years of experience cover for this. Not afraid to digress (by the end of the evening he is making jokes about Bertrand Russell’s Paradox) and with a back catalogue of very funny songs (Adolf Hitler’s sexual preferences are the subject matter of one) he has enough control over the room by the end of his introduction to encourage the crowd to make noises and sing his songs (many know the words already). By the time the first act (Gordon Brunton) takes to the stage the audience is very warmed up – perhaps a bit of a liability too. This does not phase Gordon Brunton who (as he tells one heckler) ‘has played pubs in Glasgow’. This experience shows and he addresses the crowd early, partly reading out horoscopes but mostly dishing out abuse. This improvised audience interaction forms fifty percent of his act the rest being solid material that deals with his family life and work as a bus driver. It quickly becomes clear that he is an experienced and talented performer – taking on a crowd this rowdy and coming out best is not a easy thing to achieve (within five minutes of starting his act he has been loudly called a ‘c*nt’) and yet he does so with relative ease. Danny Bevins follows – he tells us that he is: ‘an average American, … very poorly educated’. His style is less confrontational than Gordon Brunton and there is a immediate worry that he may lose the room with his laid-back delivery. Thankfully his material is very funny and he trusts in it with good results. His set is dark and based upon his life in America touching upon his religion and family. It’s also accomplished and well observed and effortlessly impresses. After a short interval, Peter Buckley Hill takes to the stage again. 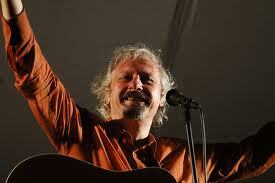 He plays a selection of songs and does some more improvised stand-up for about twenty minutes. The reason for this impromptu set he explains at the end of the evening: ‘if you’re wondering what happened to the third comedian…well, so am I’. The evening is finished off by Yianni (he doesn’t use a second name). He is Australian and moved to the UK following advice that: British people ‘drink a lot and may find you funny’. By this stage in the evening the crowd are certainly demonstrating the former but seem initially reserved about the latter, a situation that is not helped by some benign but persistent heckling that spoils his early material and a faulty microphone that cuts out at crucial points. Initially Yanni is in a tight spot, however, he works through it well by acknowledging the problems and finding the humour in them. The crowd is ultimately benign and he keeps them laughing throughout both the digressions and with what remains of his material. Initially it seems that he will rescue the evening but little more. However, after ten minutes of hard work his sharp wit and good nature has got the crowd onside, and shortly after this his set has become a triumph. By the end of the evening he is describing it as one of the best gigs of his life. It doesn’t seem like an exaggeration, having been put under unrelenting pressure he has a great success, all from the strength of his talent. Like the compere, Peter Buckley Hill’s and some Comedians XV is shambolic but excellent and very highly recommended. 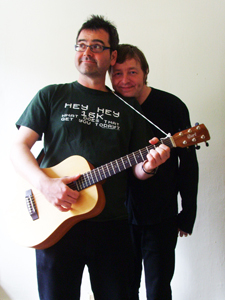 Cast Credits: (alpha order): Danny Bevins – Performer Peter Buckley Hill – Performer. Gordon Brunton – Performer. Yanni – Performer. Moon Horse versus the Mars men from Jupiter is a two-man brain splurge, the episodic cartoonish adventure of a purple stuffed horse head on a stick and Steve Hewitt in an aviator’s hat as Geoffrey Livingstone. We discover the history of Moon Horse and Livingstone’s partnership—they met on the moon after Geoffrey was shot into space in a gun from a research base in Shanklin on the Isle of White. This leads to the disturbance of US and UK relations as the UK had technically won the space race. Now, Moon Horse, Livingstone and the depressed and un-noticed TIDDY (total intergalactic droid of death) scare away the smelly Mars men on numerous occasions and eventually save the world from privatisation and mankind from eviction from the planet Earth. While the slap-dash and intentionally pathetic costumes and guitar skills of Mark Hibbett lose their initial charm by the end, the hour is mostly joyful. From Lyndon Baines Johnson in a pink cowboy hat, to martians in fluorescent woolly hats—you name the puerile joke, these guys will have it in their show. We even witness the ‘literally’ diabolical acts of satan himself, who Moon Horse defies by ensuring that Birmingham New Street Station is sent to Hell for the Mephistopheles to enjoy. The main problem with this show is it feels like a series of youtube worthy gags and songs, drawn out into an hour-long set, and by just over the halfway point things are wearing a little thin. Thank the Lord for the distracting background noises from other rooms—these absent heckles (a woman screaming for what seems like an eternity) are dealt with excellently by both Steve and Mark, who do have a sense of comic timing and play. For the last ten minutes however, one really wishes the duo would stop flogging a dead Moon Horse. Cast: Steve Hewitt—Geoffrey Livingstone, Mars Man, Lyndon Baines Jonson, Harold Wilson. Mark Hibbett—Satan, Margaret Thatcher, TIDDY, Harold Wilson, Mars Man, Professor Wilberforce. Charmian Hughes is trying to establish a cult. It’s not an extreme movement in the manner of David Koresh but she’s out to persuade people to follow her version of the Biblical commandments, which are basically some common sense and linguistic variants. Walking on the small stage in a bright red dress she asks the audience what they think of her prophet robes. She has a mumsy delivery which is perhaps not surprising as she’s a middle aged mother of teenagers. 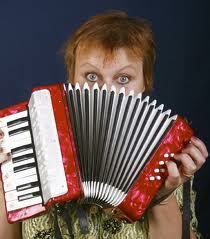 This itself may lead the fairly young audience to humour her to an extent. Her so-called papyrus scrolls are concealed behind a cloth with brightly coloured quasi-Egyptian images on it. Her first Charmandment is: Thou Shalt Only Worship One Dog. Wordplay between God and dog isn’t particularly advanced or impressive but this is a fairly gentle show. Even Simon Cowell escapes being referred to as some form of Satan when his face is used to illustrate an instruction not to worship Pop Idol. That’s not to say that Charmian Hughes doesn’t hand out criticism to anything – furniture empire IKEA is depicted as a vulture and part of a DIY and home improvement culture containing what’s described as the ladder of despair and paintbrush of despondence. It’s part of a Charmandment to reclaim leisure time. The longest routine relating to a Charmandment accompanies ‘Thou Shalt Not Kill People’s Dreams’ – an appropriate message for Edinburgh where thousands of performers live in hope for a month. Re-enacting the story of 12th century lovers Abelard and Heloise, Charmian Hughes makes use of puppet pandas, as well as her accordion playing skills. It’s not a guns blazing, showcasing of talent type of show so the limited knowledge of French comes across as charming and again reinforces the accessibility of Charmian Hughes’ performance. Ending the show, which is twenty minutes shorter than the advertised running time, Charmian Hughes opts for a dance, which she claims has been passed through from Cleopatra and Beyonce. Donning a red cap it’s again an opportunity for the crowd to humour Charmian Hughes rather than for her to make them laugh. The moves vaguely resemble those which accompanied The Bangles song “Walk Like an Egyptian” eons ago, but it still has the air of watching your mum dance at a friend’s wedding. Charmian Hughes is an easy performer to watch and relax into as it’s not going to be hard hitting, thought provoking or exhaustingly belly-laugh filled stuff. There also appears to be a sense of wisdom in the reduced running time of the show. If you don’t have an hour’s worth of material there is no point in padding out what you have, so the 40 minute piece is just the right length.